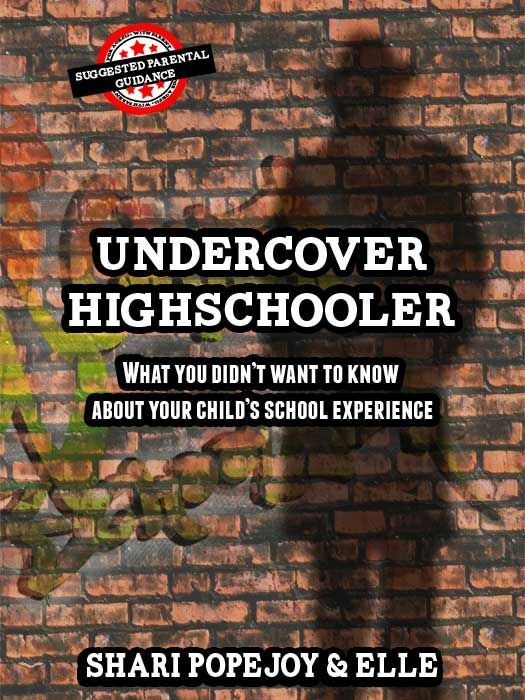 Undercover Highschooler gives an overview of what a typical highschool classroom is like when a fresh set of eyes sees it for the first time, and how the public school institution can affect students in a negative way. Undercover Highschooler is the observations of a not-so-typical high school junior after she enrolled in a typical midwestern public high school. She began to journal her thoughts about the students she met in her new peer group, and her observations of how it seemed the public school culture had shaped their behavior, attitude, and even their character. If you've ever wanted an honest look inside a public school classroom, or wondered how you could counteract some of the influences your child will face in public school, this book is an eye-opening and insightful look into the public school culture. Parental Guidance Suggested: due to the language and sexual inferences included in this book of a PG-13 nature, this book is not intended for young readers.